In October, we opened a new exhibition, titled "DIY Estonia", at the Temporary Exhibitions' Hall. The exhibition explores Estonia of the 1990s from the vantage point of daily life. "The '90s was a pivotal era in Estonia that left noone ountouched. In the background of the political, economical and social reforms adaption and eager DIY began in daily life. In successful cooperation with fellow museums we have captured this decade and its mentality into an exhibition," said Alar Karis, Director of the ENM. "DIY Estonia" shows what the '90s brought to the everyday life of Estonians – adapting to changes, coping with life’s twists, changes in personal beliefs, the rise of civil society, unprecedented possibilities for consumers, newly open borders, the freedom to talk of the past and to collectively remember what really happened – all of these processes shaped what Estonia is now. 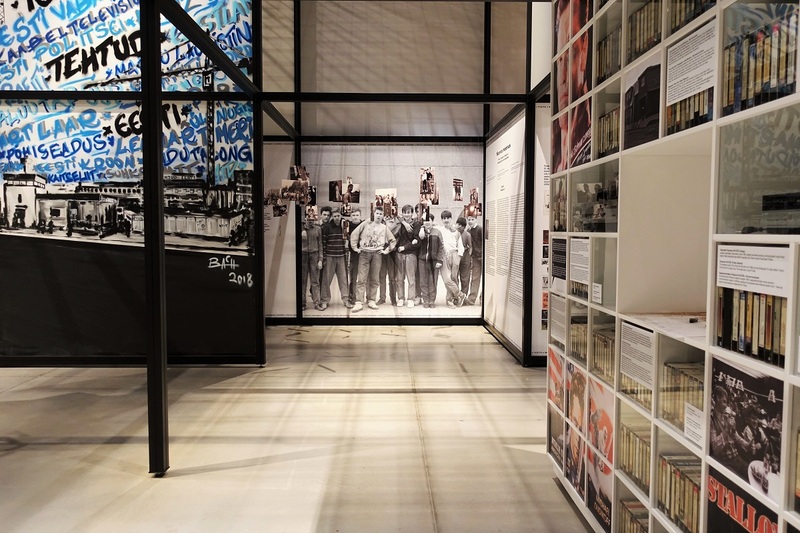 "DIY Estonia" is also an exhibition about the experience of different generations. "DIY Estonia" was produced as part of a joint research and cooperation project between several Estonian museums, in the course of which materials about the 1990s were gathered. Museum collections are still far from complete in regard to this era, and thus work will go on. The project is dedicated to the centenary of the Republic of Estonia.